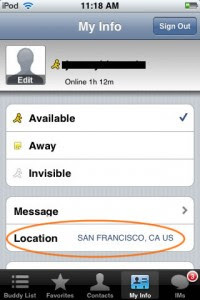 "While there may still be a lot of confusion surrounding the future of AOL, that didn’t stop the folks in Northern Virginia from recently overhauling their popular AIM instant messaging app for iPhone (and iPod touch). Available in two tasty flavors, free (”AIM Free”) and paid (”AIM Paid”), AIM 2.0 for iPhone now provides SMS notifications, has location-aware services, and supports multiple accounts (among other updates). It appears as though all of the application updates have been included in both the free and paid versions, with the major (and obvious) difference being the inclusion of ads in the buddy list of the AIM Free app..."